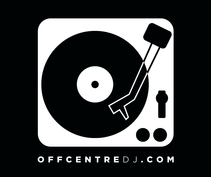 Whether online, or in the classroom, ​At Off Centre our mandate is simple: have fun with records and electronics! We strive to find new ways to teach and creatively express ourselves by playing with sound and make every effort to instill that passion in to every student that opens the door and starts their journey towards musical expression. Release your studio and performance potential with our Online Ableton Foundation Course. Start making your own tracks by learning the basics of the software that has revolutionized electronic music creation and performance. Get comfortable navigating Live's unique interface, learn to trigger multiple tracks on the fly, program your owns drums, create re-edits, compose bass lines, harmonies and build your own multi layered song from scratch. With a total of 7.5 hours of learning with feedback and interaction at the end of this session you'll be well on your way to making your 1st of many production pieces.